I am still making birthday cards. The month of September is full of birthdays for my circle of friends. 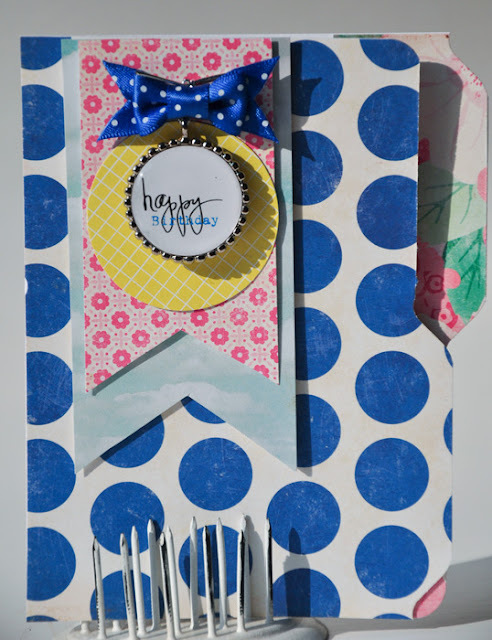 I made this fun card using Maggie Holmes Crate Paper collection. I cut the base into a mini file folder, then added a few layers of banners and, of course, I finished it off with an Epiphany Crafts Shape Studio Round 25 expoxy sticker and charm for the sentiment. You can get the Maggie Holmes collection from WhimseyGirl. Here is a close up of the epoxy charm sentiment. 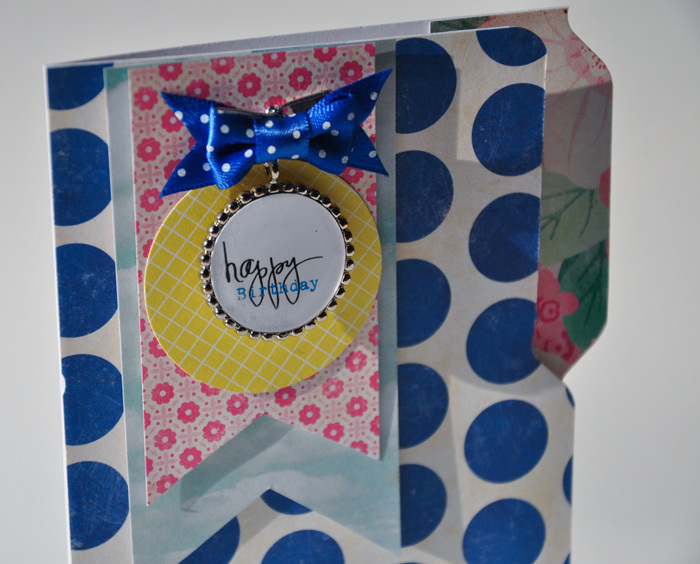 I just love, love, love how it adds the perfect amount of "bling" to dress up this card.